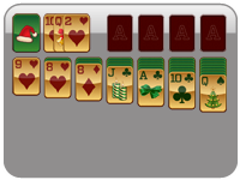 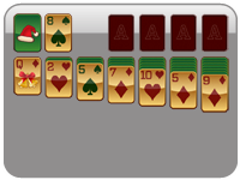 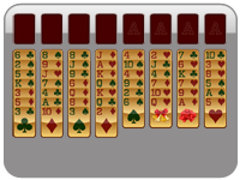 Don't let the difficulty of Wasp Christmas Solitaire turn you into a Christmastime Scrooge! 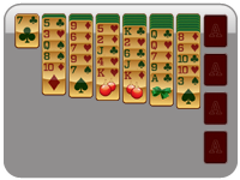 While the game is in fact challenging, it is played exactly like Scorpion Solitaire except that you may place any card into the empty cells. 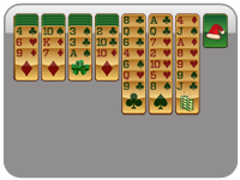 Beat Wasp Solitaire by putting cards of the same suit into descending order in the tableau. 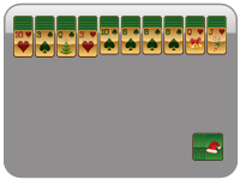 Don't forget about the three extra cards that are in your draw pile! Any visible cards can be moved in the tableau, regardless of their order.